“Come, O Holy Spirit, come! And from your celestial home shed a ray of light divine! Please note that there is NO Mass on Mondays, and the Tuesday Mass time has changed to 11am. Masses on Wednesday through Friday will continue at 11am. Father Victor will attend the 2017 Diocesan Convocation of Priests, June 6-8. For this week only, there will be no daily Mass Wednesday and Thursday (June 7 & 8), but there will be 11am Mass on Tuesday, June 6 and Friday, June 11. Trinity Festival Weekend ~ Next weekend we celebrate our parish feast day. The three-day event begins with an organ recital on Friday evening, June 9, at 7:30pm. 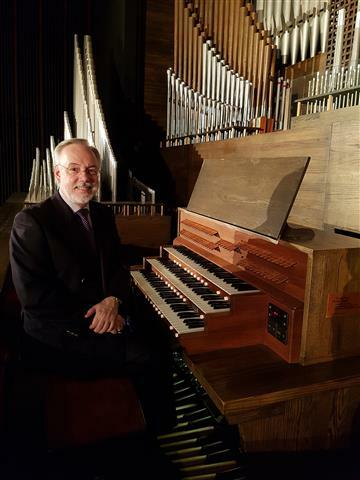 Our recitalist, William Maddox, has chosen pieces to “showcase” our 1927 Tellers-Kent pipe organ and highlight the church building’s acoustics. But the weekend is also an opportunity to showcase our welcoming parish family by bringing a friend to church. Invite someone to: experience the sound of music on our recently tuned pipe organ, find out why our church is listed on the National Register of Historic Places with a guided tour on Saturday, June 10, from 2-4pm, and celebrate our faith and the Feast of the Most Holy Trinity at the 10am Mass on Sunday, June 11. You can also bring your guests to brunch in St. Charles Hall following the Mass, but do help the volunteers who are preparing the food by returning your reservation form no later than Wed., June 7. Click HERE for complete details about our feast day celebration. Trinity Festival Open House ~ We are still in need of a volunteer greeter and a docent for our Saturday, June 10, open house and tours. If you can help in either capacity between 2 and 4pm, please contact Judy Casassa or click HERE and leave her a message. The Sodality’s Annual Dinner is Wednesday, June 14. All women of the parish are invited to join us for the evening, beginning at 6pm in St. Charles Hall; friends are welcome. Our Flag-Day themed holiday supper will include baked chicken, Italian sausage with peppers & onions, pulled pork with rolls, baked beans, roasted potatoes, and chef salad, all prepared by Carmen’s Catering, with all-American apple pie for dessert. Father Victor will be our guest and dinner speaker, with a presentation honoring the 100TH anniversary of the apparitions of Our Lady of Fatima. The price of the dinner is $20 per person. Please call Patty Gallisdorfer (716-392-9952) with your reservation no later than Sunday, June 11 or Click HERE and leave her a message. 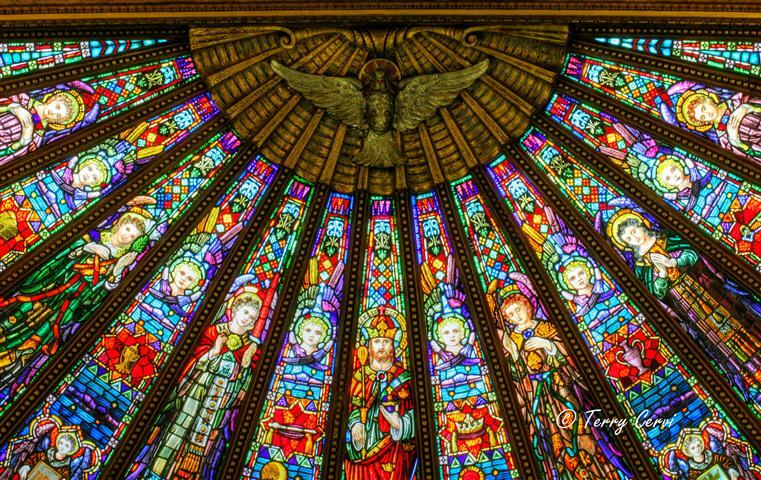 Pentecost Sunday: The Holy Spirit send seven special gifts to us. By calling upon these gifts, we are both made aware of God’s will for us, and are given the strength to pursue it. 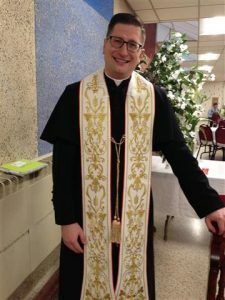 If God is calling you to a Church vocation, call Fr. Andrew Lauricella at 716-847-5535. 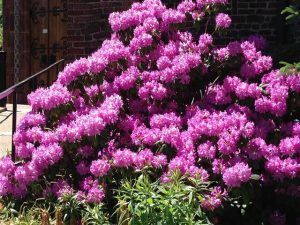 You can also check out the “Priest of the Month” stories on our website www.buffalovacations.org. African Culture Day is June 11 from noon-3pm at Ss. Columba-Brigid, 75 Hickory St., Buffalo. Families from Burundi, Eritrea, Democratic Republic of the Congo, Rwanda and South Sudan will celebrate with ethnic foods, dance, music, song, and a fashion show featuring the unique dress of each country.